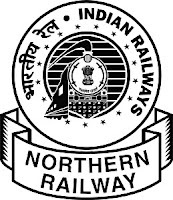 GOVT OF INDIA JOB NORTHERN RAILWAY SPORTS,Govt of India Application are invited from the outstanding sports Man for the recruitment against sport quota in group “d” Category by Lucknow. (1) Govt of India job GAME : Hockey, No of Post: 02,Government of India Age Limit: Above 13 years and below 25 years. Government of India Qualification:- Commonwealth Championship, Asion Championship/ Asia Cup, South Asian Fedration (SAF), USIC (World Railways) Championship.